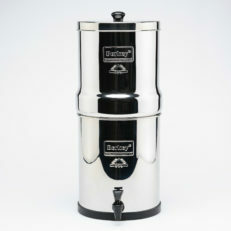 This shatter-resistant, high-impact Berkey Light is made of Non-BPA copolyester. 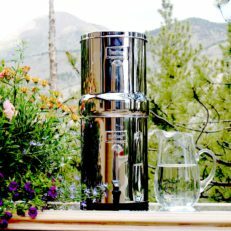 You have a lot of options with this unit: you can get 2 or 4 filters, you can get the LED base to create a beautiful centerpiece (and night light) for your kitchen. 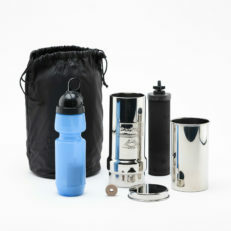 This system has a storage capacity of about 2.75 gallons and when in use it stands 26.5 in height with a diameter of 9. 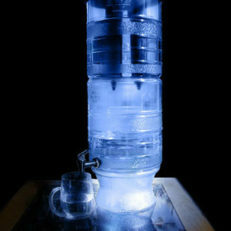 The system stands 21 when used without the base (included). 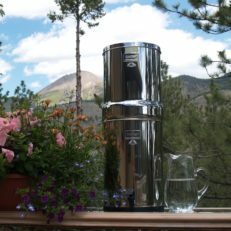 Configured with two Black Berkey® purification elements the system can purify over 4 Gallons per hour. 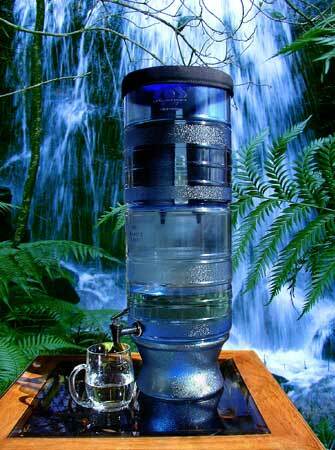 Configured with four purification elements the system can purify up to 8 Gallons per hour. 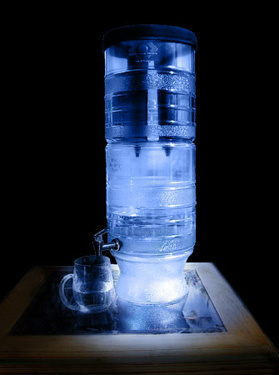 LED Lights: The Berkey Light™ LED Base lights up the water droplets and they glow, resulting in waves that reflect soothing patterns of light onto the surrounding area. The lighting effects coupled with the melody of raindrops, combine to create a unique and relaxing atmosphere. They have an average life span of 11 years. The adaptable Berkey Light™ LED lighting system is designed for long-term use even when electrical power is not available. 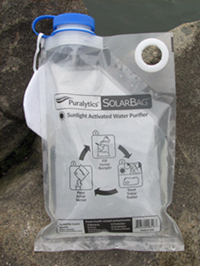 The LED lamps can be powered by the 110 Volt AC adapter (included with LED base) when electricity is available, or by the internal rechargeable batteries (included with LED base). To use outside the US, a Step Down Voltage Converter may be required; please check your local voltage requirements first.